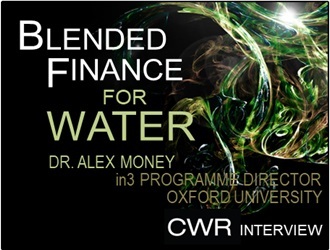 Alex Money directs the Innovative Infrastructure Investment (in3) programme at the University of Oxford's Smith School of Enterprise and the Environment. A former fund manager, he has over 20 years of practitioner experience in investment and industry. Alex's research interests include water, energy, infrastructure, investment, and sustainable development. He also teaches on Oxford's undergraduate, postgraduate and MBA programmes, and is the director of two early-stage technology companies. Alex holds a master's degree with distinction in water science, policy and management, and a doctorate in economic geography; both from the University of Oxford.